Guys, this city is agreeing with me! Not only is the apartment all unpacked (if disheveled), but the art is hung on the walls, and we've finally started exploring. Today, we spent most of the hot day inside watching Orange is the New Black, but did venture out to do some much-needed grocery shopping and then strolled along the waterfront and the waterfront garden near our apartment. It's beautiful here! It doesn't hurt that the weather has been so clear and beautiful that we can see Mount Hood from the waterfront, but this city is spectacularly green and clean. I love seeing trees and flowers and little urban gardens all over the built up city - it makes the transition from Tacoma easier. 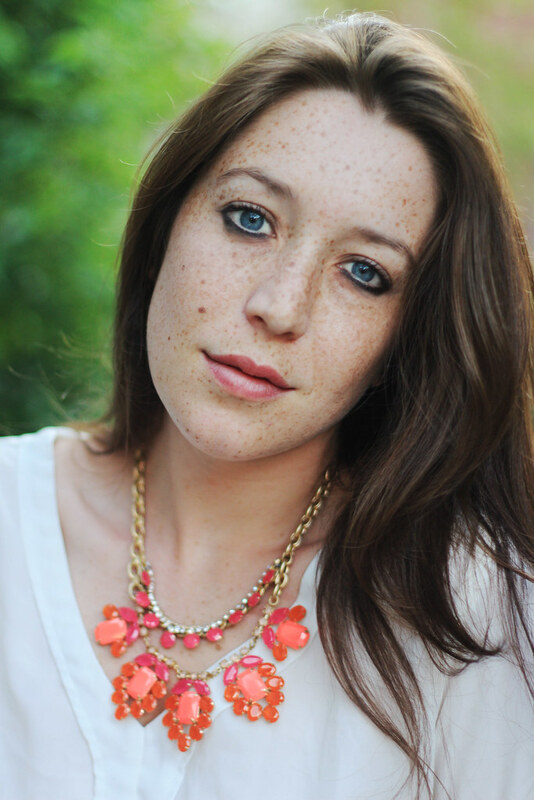 In the spectacular news vein, I am thrilled to be wearing some new jewelry in this post. The bracelet was an amazing birthday gift from Ben (he has amazing taste) and the necklace was a Stella and Dot giveaway win! I cannot complain about this sparkly statement piece either! 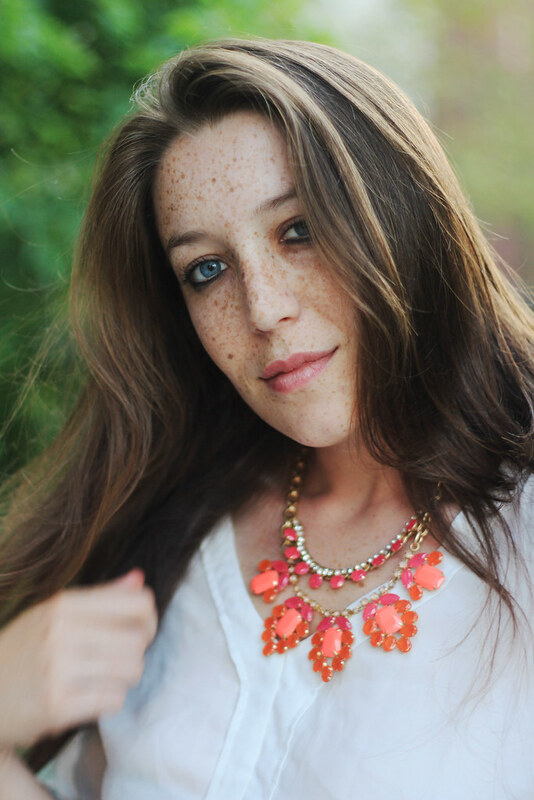 Love the pop of color in the necklace. So happy your transition to a new city is going well! 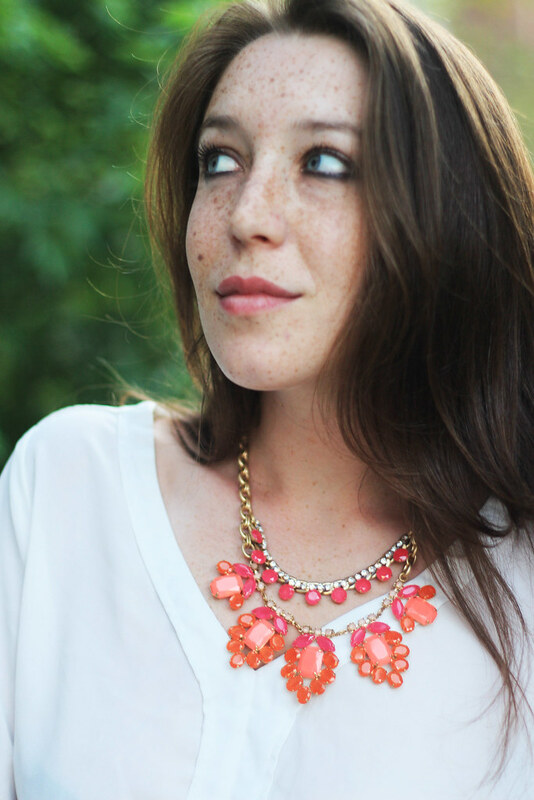 This is a great look on you and the necklace is the perfect pop of color! You're stunning! I love your necklace and skirt! I have this same skirt! But I'm super short, so it's a lot longer on me. I was thinking of selling it, but now I'm thinking of hemming it, so it hits me at the same place it hits you. Such a beautiful classy look. I adored Orange Is The New Black and am waiting so impatiently for season 2. I love this outfit, it's gorgeous. that bracelet is absolutely stunning! so sparkly. gorgeous outfit. followed you, and hyped on lookbook! 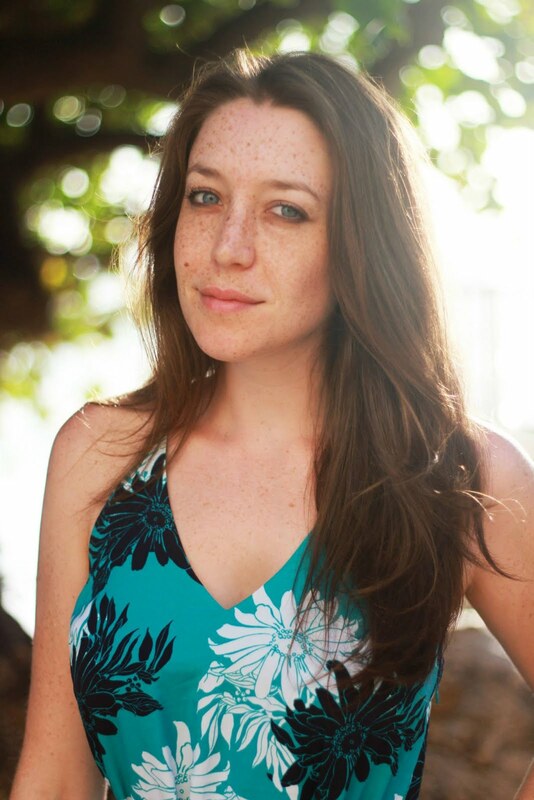 your freckles are unfairly beautiful. 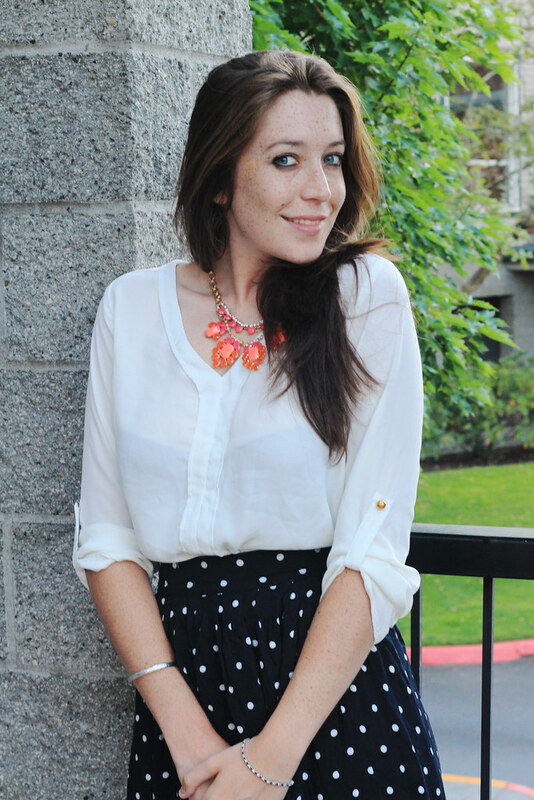 Love your polka dot skirt, and I love the pop of color the statement necklace brings! So cute! 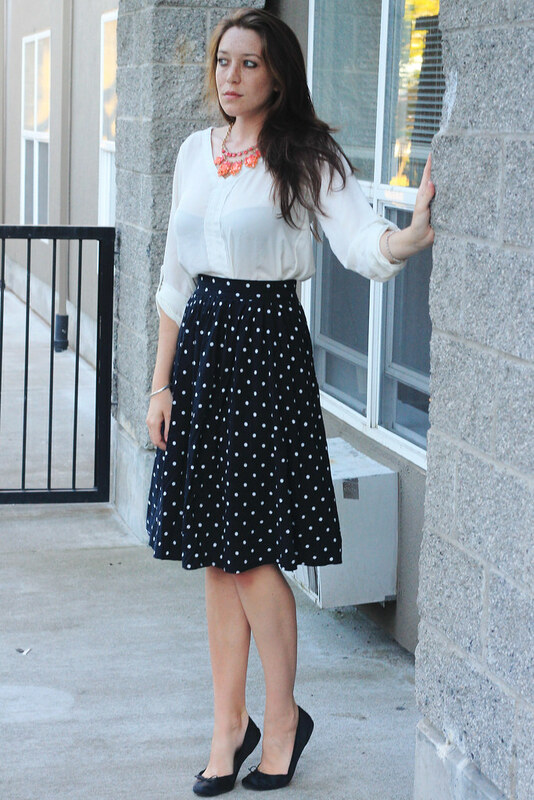 Loving that polka dot skirt! So classy and chic! Well you look wonderful! Portland is such a fun city, so many great discoveries. I love your outfit! That skirt is super versatile and lovely on you! 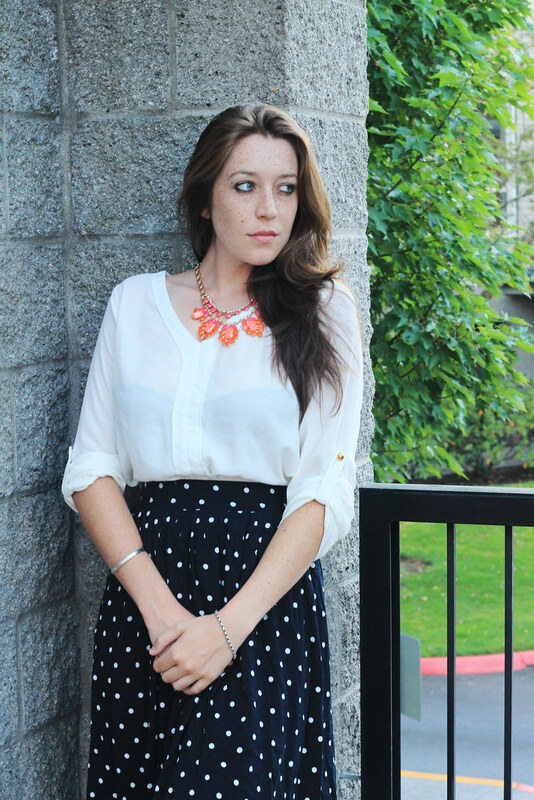 This polkadot skirt is so classy! And I love your beautiful statement necklace, it's a great color for you! 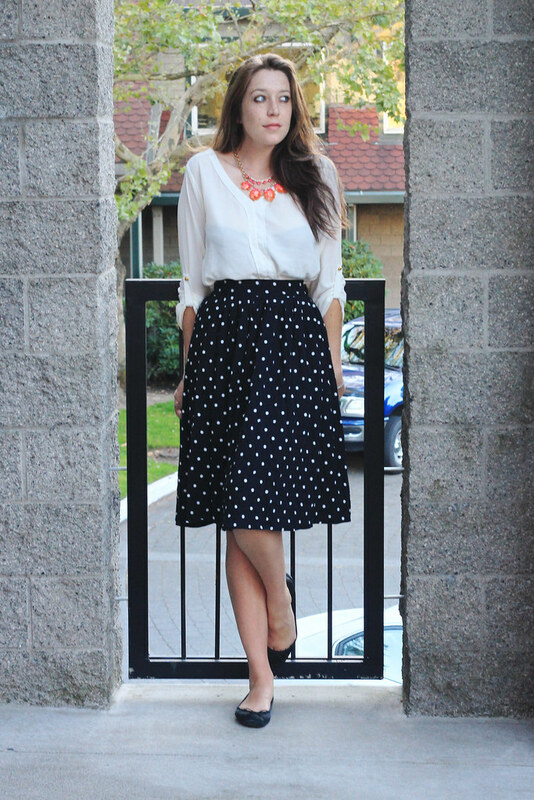 Love that polka dot skirt! Please check out my blog at www.loveolia.com & hope you'll follow on bloglovin if you havent!! amazing skirt - i can't believe it's f21! 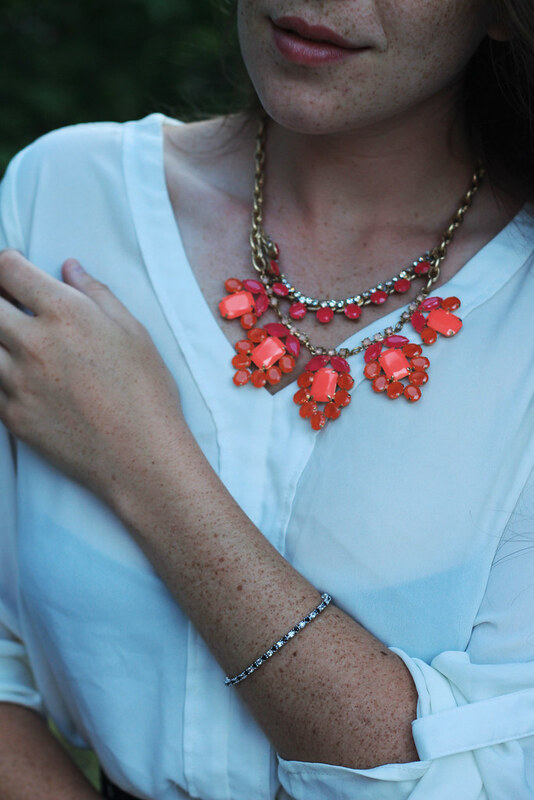 The coral necklace pairs with it perfectly. Glad you are enjoying your new home! Polka dots! That skirt is so gorgeous, and the length looks lovely on you.